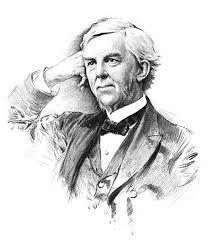 Quote: Oliver Wendell Holmes, Sr. on Household Haven | It's the Women, Not the Men! And with each day I plot another novel way to sneak out of the office. . .
LOL! Exactly. I’m still amazed that millions of Christian women were convinced to give up their families, and the freedom they had at home, to be shackled to someone else’s desk, all day. It’s just plain crazy. I like this! Homes are awesome, they’re like the heart and center of our families. It’s really a shame that people are being led to believe that fulfillment is to be found outside of our family and our homes. It’s very sad because many feminists don’t realize what they’ve missed until their illustrious “careers” finally prove to be unfulfilling and only then do they acknowledge the fact that their biological clocks have stopped ticking too, allowing for no change of course.